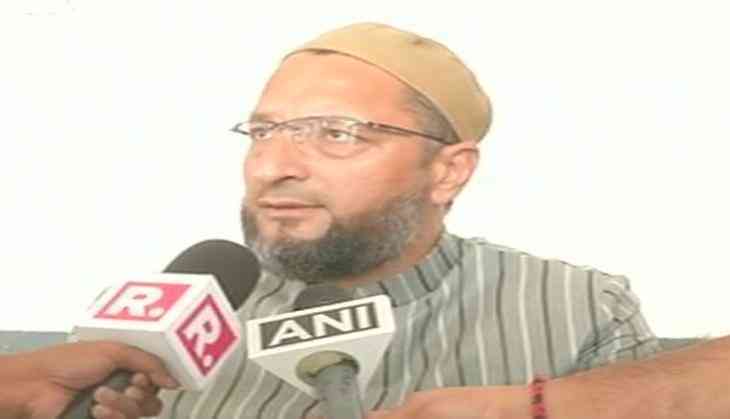 All India Majlis-e-Ittehadul Muslimeen (AIMIM) president Asaduddin Owaisi questioned Rashtriya Swayamsevak Sangh (RSS) chief Mohan Bhagwat's assertion on the issue of building a temple in Ayodhya. "With what authority is Mohan Bhagwat saying that a Temple will be built in Ayodhya?" asked Owaisi here. He further averred that the case is sub-judice. "The case is still on in the Supreme Court. Is Mohan Bhagwat the Chief Justice? Who is he?" asked Asaduddin Owaisi. The Supreme Court had earlier suggested an out-of-court settlement was the best recourse to the Ram Janmabhoomi-Babri Masjid dispute. The apex court will commence the final hearing of the long-standing matter from December 5, a day before the 25th anniversary of the demolition of the medieval-era structure. The Babri Masjid was built by Mughal Emperor Babar in 1528. The Hindus, however, claim that a Ram Temple that originally stood there was demolished to construct the mosque.